CRFC4: The 2006 film Paprika features a team of psychotherapists who have invented a device that allows them inside the dreams of their patients. When the device is stolen, they attempt to solve a mystery that blends the real world and the dream world. This is installment 4 of the constructed reality film club. Previously we've watched eXistenZ, Strange Days and Source Code. 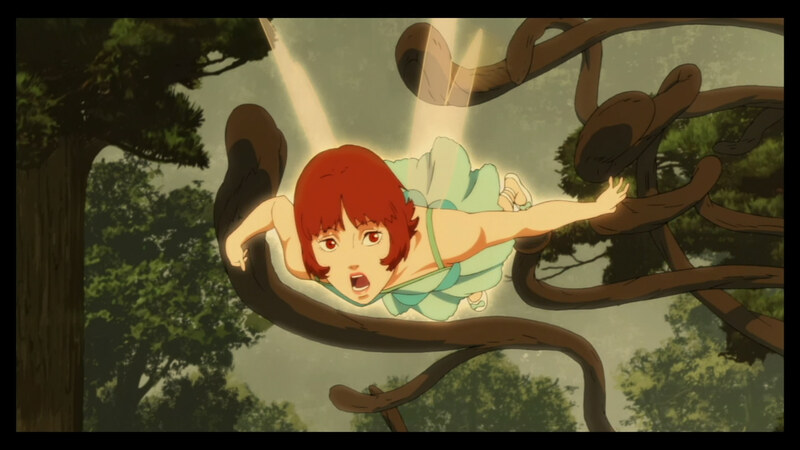 Unfortunately this was one of Satoshi Kon's last films before his death. Tony Zhou of "Every Frame a Painting" looks at Kon's masterful skill with editing. 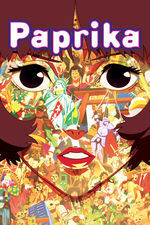 Steven Shaviro on Paprika and fantasy. What a gorgeous movie. These are dreams as people actually experience them, confusing, strange, terrifying and sometimes delightful. You do realize that the character of Paprika is literally a Manic Pixie Dream Girl, right? She really is a girl who becomes a manic pixie version of herself when she visits people's dreams. Paprika isn't really manic or pixie. She doesn't have any sort of emotional problems that the strong men in the movie fix, and aside from being less reserved than her reality-side persona (Atsuko) she's also not particularly bright or bubbly. Both Paprika and Atsuko are pursuing goals outside of relationships with men (stopping the terrorists who are using the DC Mini as a weapon). Relationships are hinted at with both Totika and Konakawa, but those are ancillary details of the larger plot, and really only introduced at the end. The closest Paprika comes to fitting any sort of the idea of the MPD is that she's the avatar Atsuko is using to pursue her guerilla dream psychoanalysis, and is therefore trying to help Konakawa through his problems with his previous failed case. I supposed she is magic, but then again so are all of the other characters in the movie. One of the best things about this movie is the fantastic soundtrack by Susumu Hirasawa. I literally mean literally. A Manic Pixie Dream Girl. Entertaining movie I esp. liked when they showed the reality vs dream sequences and the long chase scenes. I wonder if some day a dream machine will really exist somewhere. The movie for next week is going to be the immortal (and original) Total Recall, which just came back on streaming services. I think Kon did a great job of portraying fascism as a party. Perhaps we grow old and stagnate without keeping hold of our childlike wonder. The old guard with their ultra conservative views that hold those views sacred above the many's needs. Throw some confetti around and make 'em wobble, they're still all in lockstep to the same song. Automatons. I really enjoyed rewatching this movie a few times. Just watching how Kon constantly used light and dark to aid the narrative. From what I could tell, in just about every scene a character would be moving into or out of darkness. Some characters were always in the shadows, like the Chariman, or were always bathed in light, like Tokita.